There are many opportunities available to support FSU which include your name, or the name of someone special to you, on a room, locker, wall, or even an entire building. Naming of the building, track, bleachers, or hospitality suite will support general athletics through annual spending from an endowment. Naming of the media suite, rooms, field, stadium seating, and wall of recognition will support the immediate needs of Bobcat Athletics. 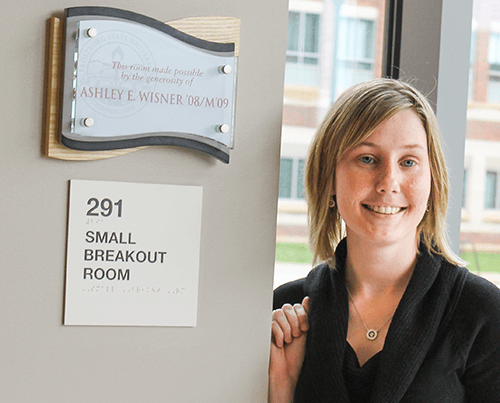 Gifts made to name spaces specific to a department will be invested in an endowment that will provide funding for enhancements to that department and the most up-to-date learning tools that enrich our students’ experiences. 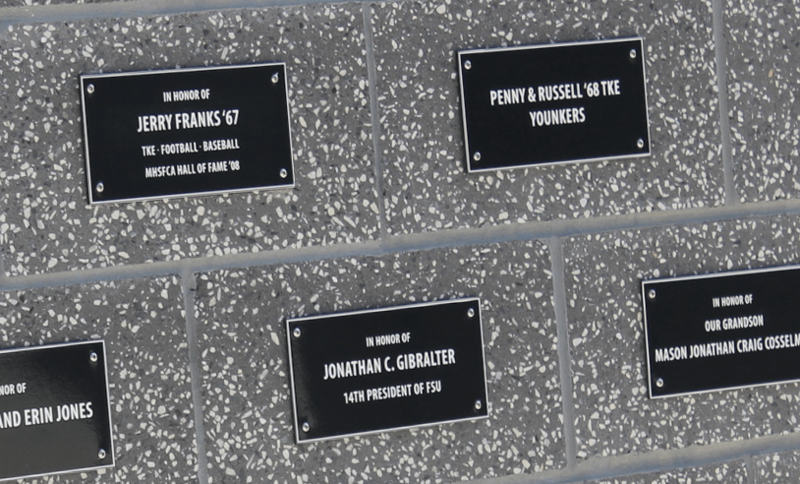 Gifts made to name shared spaces will be invested in a general endowment that supports all programs housed in the Gira Center. Contributors giving $25,000 and above will also have the option to endow a separate fund for restricted purposes supporting the department that resides in that space unless it is a shared facility. Naming a room in this building, the hub of student life, will fund an endowment to provide support within the area of Student and Community Involvement as recommended by a committee of FSU students and staff appointed on an annual basis by the Assistant Vice President for Student & Community Involvement. 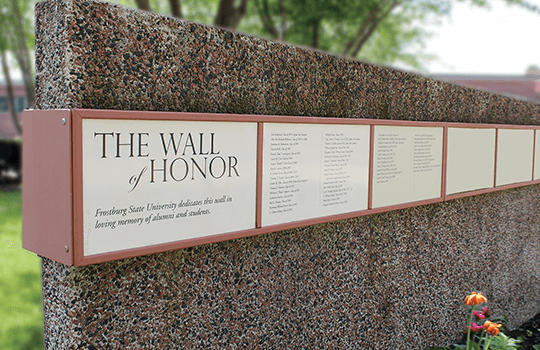 Memorialize or honor friends and loved ones on campus with a plaque on the Wall of Honor in front of the Performing Arts Center. These contributions will be used for campus beautification. For more information please call 301.687.4161 or toll free 866.241.3296.